It's been such a long time since my last post. I've spend 3 months on Europe's mainland (more on that in my next post), and I've also been diligently working on shaping my future. 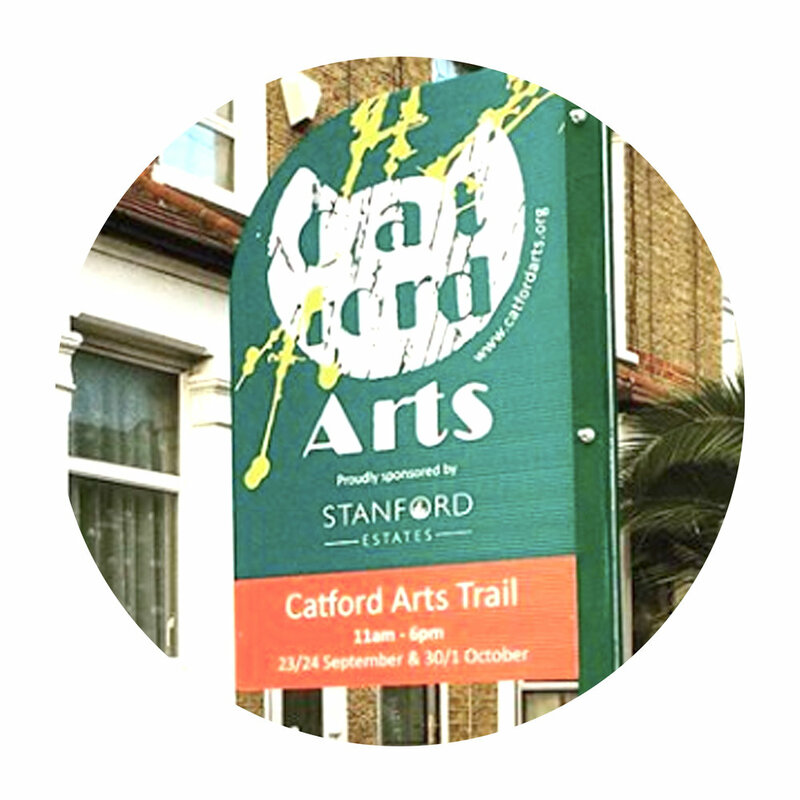 September is here and in a matter of days the second annual Catford Arts Trail will be upon us. It's over the course of two weekends, Saturday 23 & 24 September and Saturday 30 September & Sunday 1 October. I will be at venue 44 with some amazing artists; my photographer sister (who does all the photography for my Sip events), Jordina Walker. Jeweller, Leila Khassal and textile artist, Diana McKinnon. As well as my Jamaican Proverbs and my book, I will also be sharing some new pieces. Be sure to drop by and say 'hi! ', it would be great to see you. During the Arts Trail, I will also be doing a Sip and Paint on Thursday 28 September. 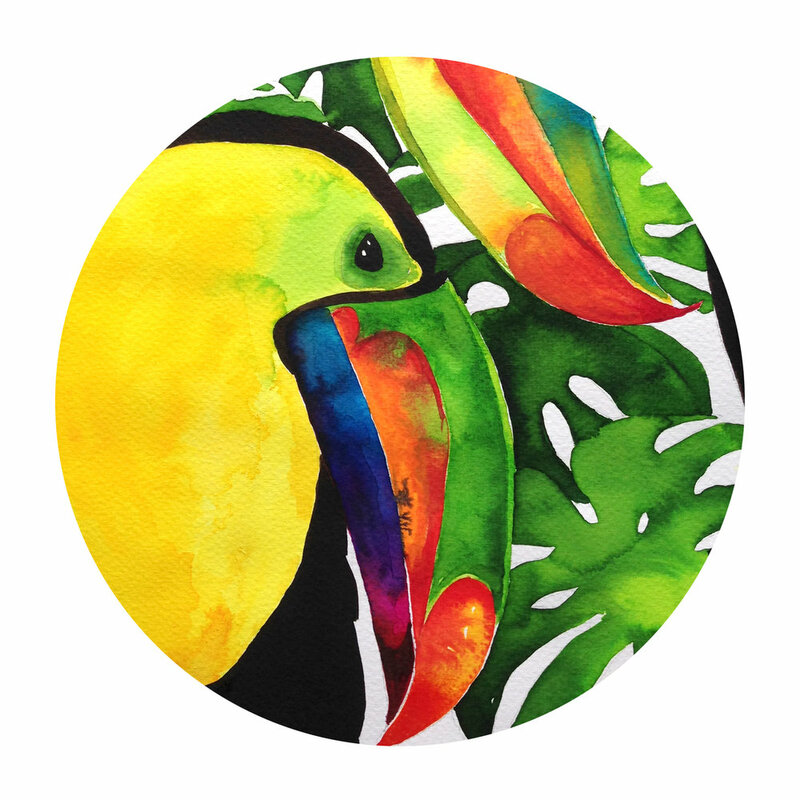 The theme is The Caribbean, so expect lots of colour, great music and a great painting to take home. Book now to avoid disappointment. It's gonna be good one! The first blog of 2017 and we are already 3 months in! Where is the time going? So much that has happened since my last posting. 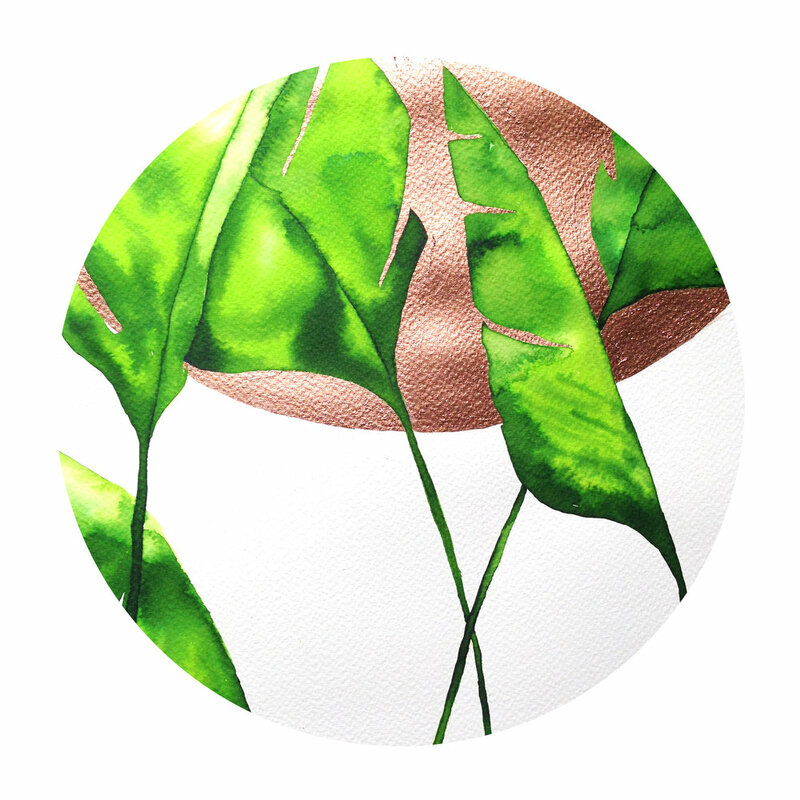 I've had a Sip and Paint, I've been working with new design clients, I've been illustrating for packaging, I've had illustration commissions and I've gained an agent - woohoo! I've also been trying (and occasionally succeeding) in making sure my students are on top of their coursework in the looming exam season. One little thing.. I still have issues with the digital version of my book on Amazon, but I hope this will be resolved soon. I'm one of three featured artists in the January/February edition of NUPeople! It's a great edition with fashion, style and beauty with some great interviews. NuPeople is a digital magazine and you can purchase and download it here. [The] Legal deposit has existed in English law since 1662. It helps to ensure that the nation’s published output (and thereby its intellectual record and future published heritage) is collected systematically, to preserve the material for the use of future generations and to make it available for readers within the designated legal deposit libraries. I am also now a full member of the Association of Illustrators. The AOI was established in 1973 to advance and protect illustrator's rights and encourage professional standards. I hope you are enjoying the Christmas/New Year break! I certainly am! I haven't been so relaxed in a really long time. Despite my relaxed state, I want to share with you a few updates! On Thursday 26 January, I will be doing the the first 'Sip and Paint' of the New Year! Sip and Paint is a great way to meet new friends, it's great for mates and for dates. No experience? No problem! Absolutely no experience in art is necessary! I'll take you through step, by step in how to paint in the style of renowned and legendary American painter, Georgia O'Keeffe. With a glass of wine in tow, we'll be painting a beautiful, seascape that will look beautiful in your home - or as a gift. For more information, and to take advantage of the early bird tickets follow the link here! Extended sale on all framed prints! Next weekend, a free Catford Arts Trail/Open House event opens to celebrate creativity in Catford. 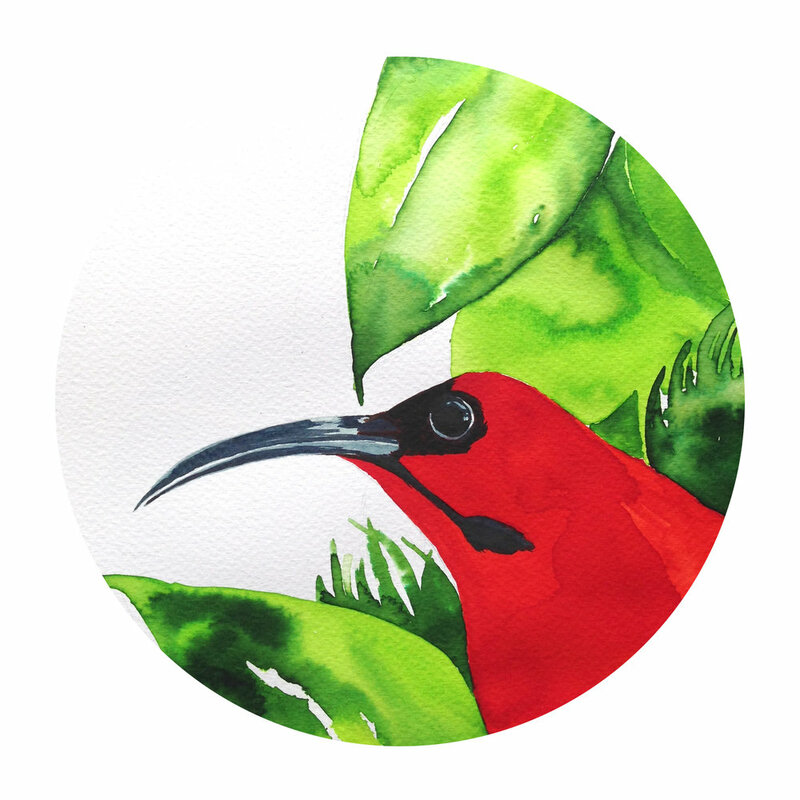 Local artists and makers will show their work in various homes, business and public spaces. A district known mostly for the grimy (some would say charming) landmark of a foreboding cat in pursuit of an invisible, of what I can only image to be a rather large rodent or ball of yarn, will be having it's first ever Arts Trail! Yay! 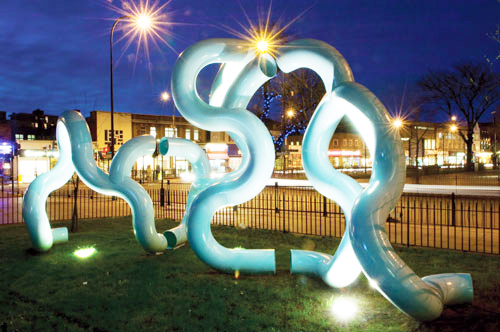 Catford is an area that is slowly being regenerated, and partly as a result, an eclectic art scene is steadily revealing itself - and I am really excited to be part of it. On the Trail there will be potters, fine artists, printmakers, workshops and much more. I will be exhibiting alongside some great artists of varying disciplines, from installation artists to paper sculptor at venue 26. All work will be on sale and you'll have the opportunity to meet the artists, and purchase should you feel so inclined! There's even an opportunity to win some art! 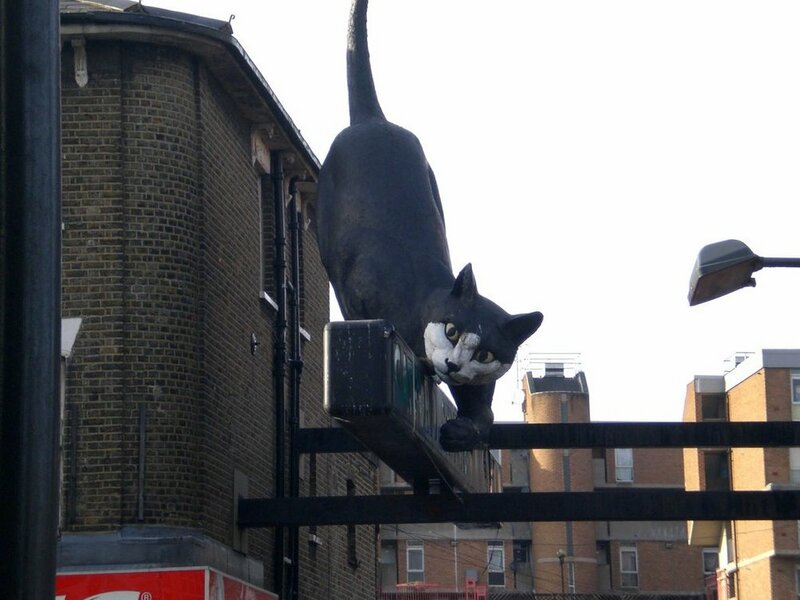 It really is a great opportunity to see that creativity in Catford has excelled beyond that foreboding cat. For more information and to download the map, click here. It was Boxing Day, December 26, 2015. 2AM. After a delightful dinner, I sat in my parents guest room contemplating the goals that I have yet to achieve. I desperately needed my 2016 to be radically different from 2015. I started flicking through various Ted Talks and stumbled upon a talk by a Patti Dobrowolski. As a visual learner, her whole approach to goal setting was right up my street. I watched the video. I prayed. I meditated. I mentally began to peel away and discard all the 'what if's'. I began to unplug all the blockages, nullify all the negativity. I began to purposefully ignore the loud and insignificant voices that said (for whatever reason) I couldn't go for it - and then, suddenly it became really clear. What I really wanted to achieve in 2016, was to publish my first book. Not just to publish it, but to have an exhibition of selected pieces on the walls of the venue, an intimate gallery that was packed with men, women and children all having a good time and lining up to have me sign my book. And so I drew what I saw. Rather than describe it, I have a copy of it below. Below, my (rather crude) drawing dated Saturday 26 December, 2015. The photo was taken by my sister Jordina Walker, Friday 5 August, 2016. Now, while it is true that this chapter of the journey started with this drawing, the genesis of the journey started nearly a full 8 years ago. Looking back, I really could have just left it. I'm so glad I didn't. The response from people from all walks of life has been great. I've watched parents sharing their experiences with their children using my illustrations as a vehicle to do so. I've watched strangers engaging in conversations about the pieces. I've also watched Irishmen effortlessly read the Jamaican in my book. It's been an awesome start to this part of the journey. Needless to say, I will be 'Drawing my Future' regularly. Seeing the drawing and photo together really encourages me to pursue my goals. It also serves as a reminder that I am limited only by my imagination. I challenge you to draw your future. 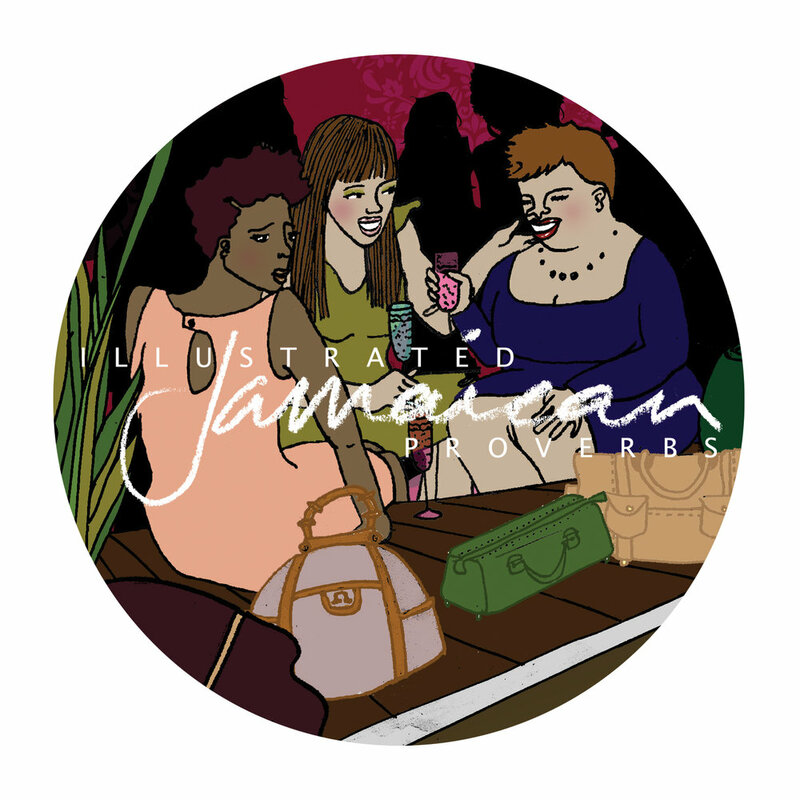 Illustrated Jamaican Proverbs: Volume One - Coming Soon! Press Release: The Soft Launch for my first book!! On the weekend that Jamaica celebrates its 54th year of independence, Nadine Walker invites you to the soft launch of her first book, ‘Illustrated Jamaican Proverbs: Volume One’. 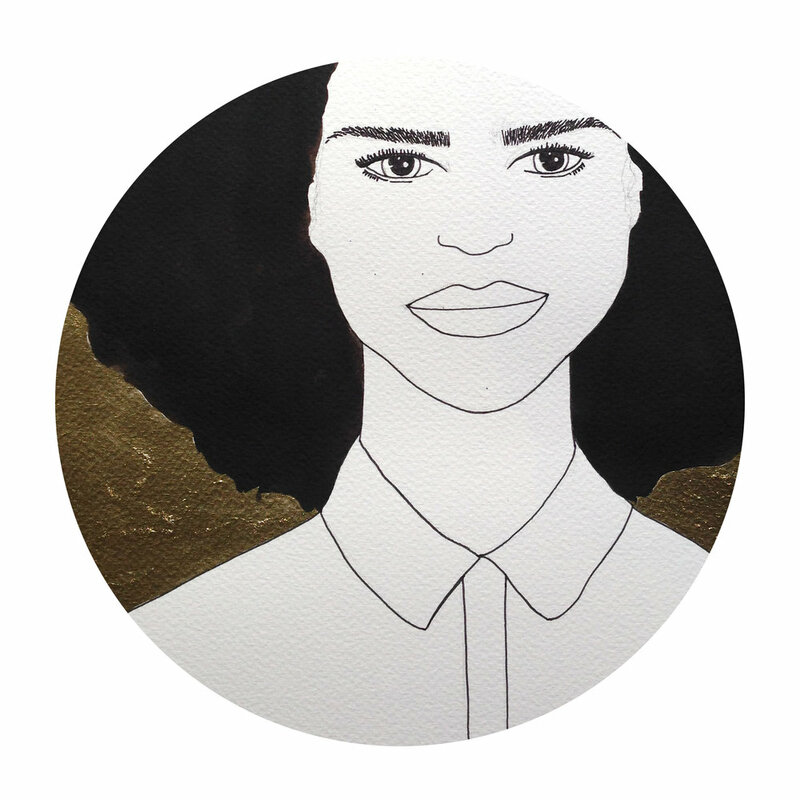 With selected illustrations from the book being exhibited, it will be Nadine’s first solo exhibition in two years. At a time when heritage, identity and belonging are the topic of conversation in the UK, Nadine’s picture book takes its inspiration from her Jamaican heritage and contemporary life in England. Through the illustration of these Jamaican proverbs the book seeks to engage families and communities of all cultures in dialogue, in celebrating our similarities and differences. The book will be available for purchase here on nadinewalker.london from Friday 5 August and throughout the weekend of the soft launch. Register your interest for the private view here. Ladies and gents. My ongoing project of Illustrating Jamaican Proverbs has culminated in my first picture book! "What's a 'soft' launch?!" I hear you cry! Well, just like the wisdom in the Jamaican proverb 'Tes out di waata bifou yu jomp iin' - I'm dipping my big toe in the water to see what happens! If the waters are calm, I'll dive right in and have a 'hard' launch at a later date. 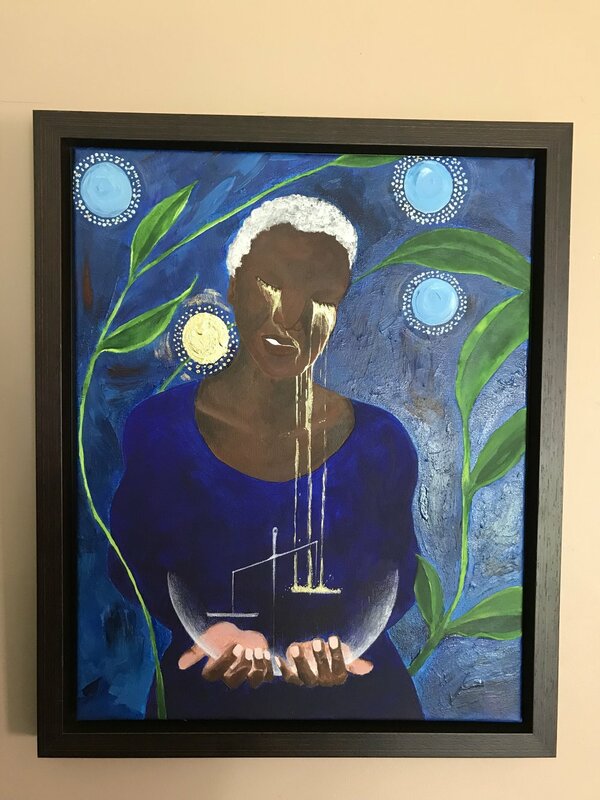 The 'soft' launch of the book and exhibition will be over the first weekend in August which happily coincides with Jamaican Independence day - talk about perfect timing! Experimenting with some simple mono-printing techniques. Such a simple and effective way to get an interesting singular print.